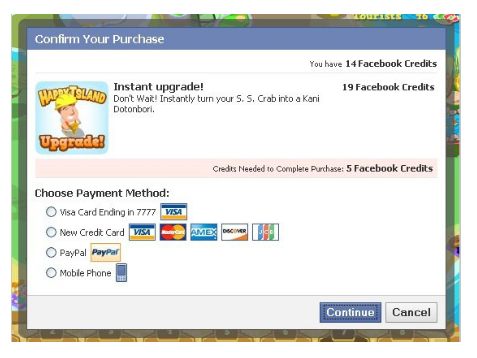 Facebook announced today they will be partnering with PaySpan Ultimate Pay to add more than 20 new ways for people to pay for Facebook Credits. The partnership with PaySpan Ultimate Pay opens the door for fast, secure payment solutions to be delivered to Facebook users worldwide. Payment options such as PayPal and most major credit cards. The benefit to Facebook is that a viable revenue stream is created, and some are expecting Facebook Credits to make up one-third of the social network’s revenue stream next year.